If you want the perfect replacement garage door, you need to make sure everything goes right – especially the measurements. There’s more to it than you would think. We’ll show you the best way to get accurate garage door measurements. While there is no definitive size for a garage door, there are a few traditional measurements. They’re 8 x 7, 9 x 7 or 10 x 7. These doors are used on most homes and are large enough for most cars. There are a few other things you should consider before going with a traditional measurement. Do You Want a Single or a Double Door? A double garage door is designed for two cars or larger vehicles. The standard measurements are 12 x 7, 14 x 7 and 16 x 7. If you have a large enough opening or you’re building a new home, you have the option to get a double garage door. 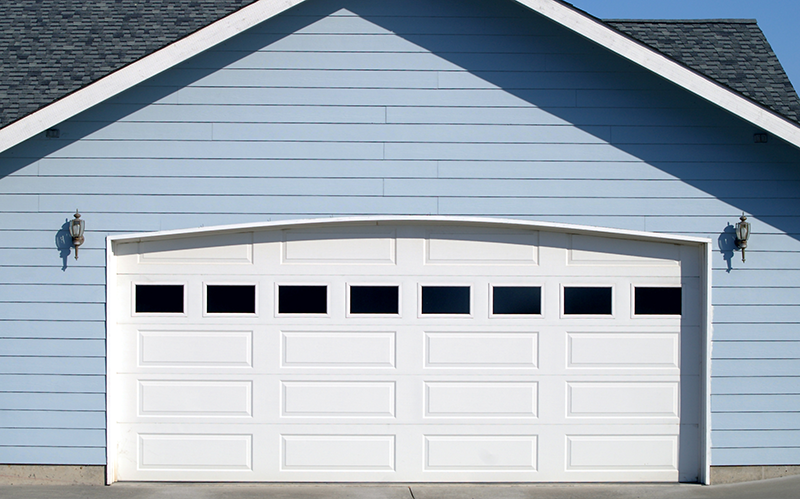 You probably noticed that the height of a standard garage door is consistently 7 feet. That should easily fit most cars but not all. 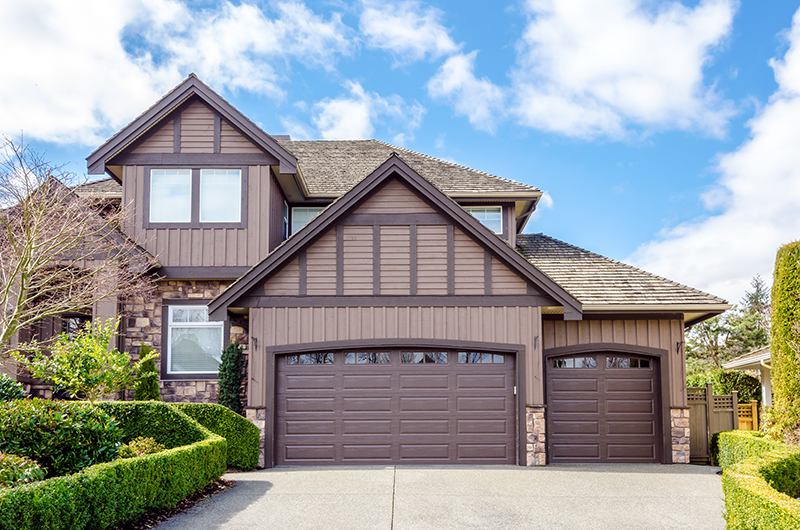 You should know the height of your car before getting a replacement garage door – especially with a new construction home. If you have a tall truck or large wheels, that could pose a problem. Now that you have an idea of the standard sizes of garage doors, it’s time to start the measuring process. It’s important to double check everything you’re about to do because your garage door measurements are crucial to getting the perfect garage door and making sure it fits properly. You don’t want to get the wrong size garage door, right? One last thing – it’s important to note that all of these measurements are taken from the inside of your garage. Let’s get started! The opening of your garage door is the most obvious part you’ll need to measure. You’ll want to measure width from one edge to the other and the height from the top of the opening to the ground. There should be no guesstimating with this part – you need that exact measurement so you know what size garage door you need. Many homeowners think they’re done now. They have all of the measurements that they’ll need. They couldn’t be more wrong – it’s just the tip of the iceberg. For proper garage door measurements, you’ll need to know the size of your side walls. Side walls are the space on the side of your garage door or in between doors if you have multiple doors to your garage. It’s required to have a minimum of 3.75 inches on each side in order to have enough space for the vertical tracks. The headroom of your garage door is the area from the top of the opening to the ceiling. 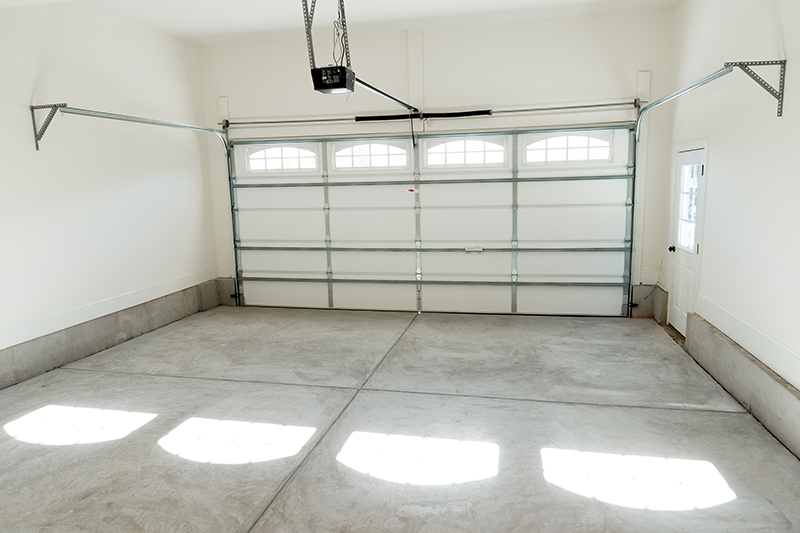 You want to measure this space because it will determine what size garage door can comfortably open in your garage and the length of the vertical track. The vertical track is made up of two rails – one on each side – that the garage door rides when it opens. The recommended amount of headroom you should have is 10 inches for a standard track. There are special tracks for homeowners who don’t have that much headroom as well. You should also know the depth of your garage before choosing the size of your door. When your garage door opens, it rides the track until it’s parallel with your ceiling. If you have a short garage, larger doors won’t be able to open fully. Knowing the depth of your garage will prevent you from being limited with your garage door selection. So how much room should you have for your garage door to open comfortably? 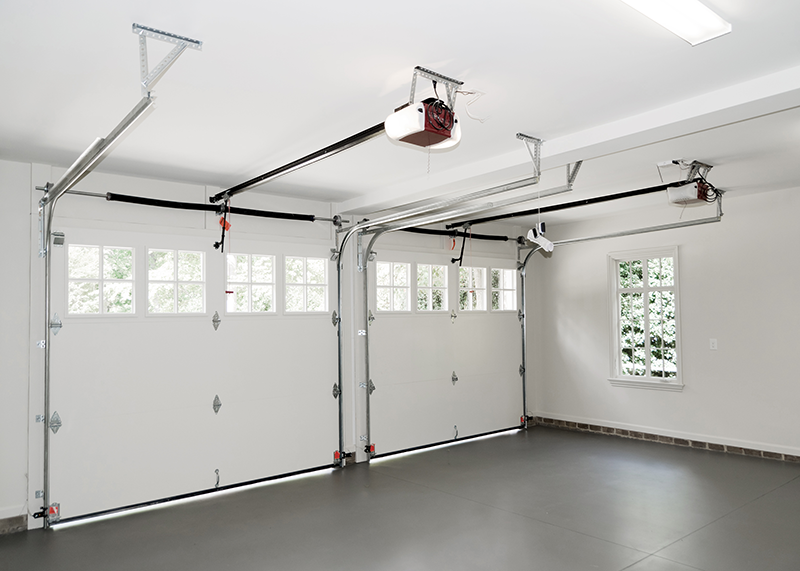 The depth of your garage can be no less than 6 inches taller than your garage door. So if you have a 7 foot tall garage door, the depth of your garage shouldn’t be shorter than 7 and a 1/2 feet. If your home can accommodate a larger garage door and you’d like one, make sure to get a track extension kit with your garage door opener. You can learn more about them in our garage door opener guide. Now that you have your garage door measurements, you probably think you can do your own installation. That isn’t the best idea. Installing a garage door is very tricky and you can mess up or damage your garage door easily if you don’t know what you’re doing. If your garage door isn’t measured properly, you’ll experience garage door alignment problems which is very unsafe. Also, there are many small parts that can be lost or broken as well. 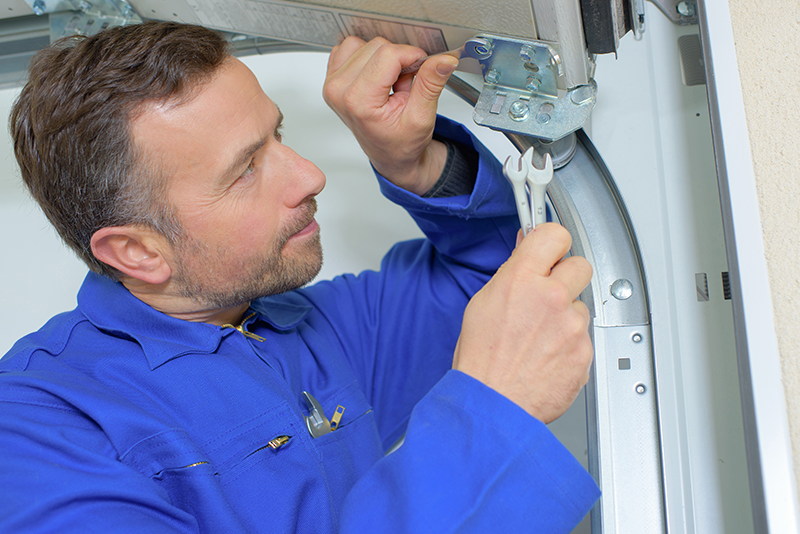 It’s best to have a professional, who does this every day, handle your garage door installation. It can also be very dangerous to do your own installation. If the parts of your garage door are damaged, it adds more stress on the rest of your door. If this is the case, you’ll notice that your garage door opens slowly and is heavy. There is also a risk of the door falling when it’s open if there is too much stress on it. A professional will make sure this problem doesn’t occur. You can read our garage door buyers guide for more helpful tips about everything you need to know before replacing your garage door. If the garage door isn’t hung properly, you won’t be able to enjoy its benefits. A replacement garage door is supposed to improve your home’s curb appeal, make your home more energy efficient and provide protection. A poorly installed garage door will provide none of that for you. There is only one way to avoid these issues – by having a professional garage door installer handle your replacement garage door project. They’ll make sure the garage door in properly installed so you can enjoy its benefits. After all, what would be the point of replacing your garage door if it doesn’t improve your home? Getting proper garage door measurements is the first step to getting a beautiful replacement. You’ll be surprised by the amount of size, style and opener options available to you based on these measurements. Now make sure that you get the perfect replacement garage door for your home.